World Language Day is an event held by some universities in the U.S. to popularize knowledge of world cultures and languages among general public, particularly high school students (e.g. MSU, UNCO, etc). Being linguistics student myself, I couldn not help but join this endeavour. So this post is, in a sense, not specifically for writers/publishers, but for language users — which is all of us! 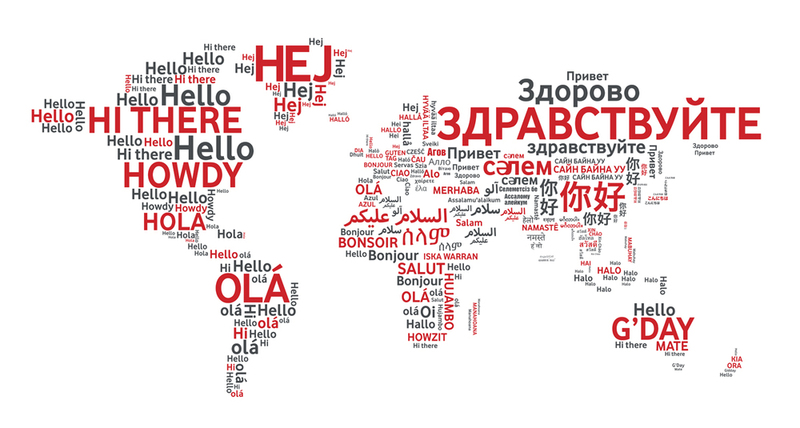 We all speak at least one language — in fact, more than half of the world’s population speak two or more languages (Tucker, 1999). Language is so ubiquitous that we can easily take it for granted, but it is also said to be one of the most central characteristics that set us off from other species on this planet. What is so special about human language? Why does it differ greatly from animal “languages”? Three properties make our language distinct from any other animal communication system: productivity, displacement, and arbitrariness. If you have ever seen a parrot talk, you may have an intuitive objection toward what I have said: parrots can speak our language, and they can pick up new words like children always do; you can even find videos of parrots who have mastered cursing words on YouTube. However, as human beings, we are able to use language in a productive way that animals can not. Take the famous and well-trained parrot Einstein as an example; Einstein was able articulate some English words, but only the ones that he had been taught, and they would always be in the exact same order. Despite the fact that he could say “I love you”, he would never be able to produce “you love me” spontaneously — not even “you love I” which ignores the rule of accusative case in English. What three-year-old children can do with human language is far beyond a parrot’s capacity. Not only can they learn new words, but they can also order words into sentences that they have never articulated before, unveiling the infinite linguistic creativity of human language. In addition to being productive, human language has another distinctive feature termed “displacement” — the ability to “time-travel” using our language. As a matter of fact, we can even talk about “back to future” scenarios and create new tenses accordingly, as has been done in a recent episode of The Big Bang Theory, which demonstrates both productivity and displacement features of human language. We can also talk about the likelihood of an event: the probability of winning that type of lottery is one in six thousand; John may be able to catch the train if he runs faster. In contrast, animal communication is always about “here” and “now”, about the concrete and immediate environment that animals find themselves in. Even the most well-trained apes are not capable of having a conversation about the life of an emperor from ancient China, or discussing the imaginary human colonization on Mars in the future. Last but not least, the relationship between word and meaning in human language is fundamentally arbitrary, whereas the nature of animal communication is mostly iconic. For example, in the bird community, many calls are highly suited for their own purposes: danger calls that warn of predators express aggression but are difficult to locate so as not to reveal the birds’ location; a flight call, on the other hand, is crisp and easy to locate by other group members, enabling the bird flock to stay together (Dobrovolsky, 2009). In this sense, animal communication is not arbitrary. However, human language is almost never directly related to its meaning, with only a few exceptions of onomatopoeic words. In no way does the sound or form of the word “cat” resemble the furry and adorable mammal with a short snout and retractile claws. If our language lacks arbitrariness, we would probably have referred to that animal as “meow” instead of “cat”. Similarly, the English suffix “-ed” carries no intrinsic meaning of past tense, but it has come to be used in such a way that all competent English speakers can identify its meaning in spite of the arbitrary nature. Human language differs from other animal communication systems in terms of productivity, displacement, arbitrariness, and it consequently surpasses animal communication in terms of communicative versatility. Our language is what enables us to develop the complex and sophisticated social structure that we have today, and it is what eventually created literature, civilization, and humanity. Dobrovolsky, M. (2009). Chapter 16: Animal Communication. In Archibald, J., & O’Grady, W. (eds.). Contemporary Linguistic Analysis: An Introduction (sixth edition). Pearson Education Canada. Super interesting. I didn’t know what made human communication so unique before reading this. Language has always interested me because of the way different languages were developed across the world. All humans share some basic requirements and one of those is the need for social interaction, it is amazing how different cultures fulfilled this need by creating their own unique lexicons. Thanks for sharing! It’s funny how useful learning another language can be. Whenever you do, you’ve become part of a group. An exclusive group. I wish I was ether at learning languages. Excellent points and insights on the human nature of languages. Merci, grazie, danke…. awesome! Since many blogs are about all the different things that have to do with human language, I decided to repost this. Since this is World Language Day, it seemed especially appropriate. Too bad “Allo” wasn’t included in the Quebec part of North America map 😜. All joke aside, being a former linguistic & languages student I can only applaud the endeavour. We’re richer for our differences 😉.